Contact any of our agents from WEICHERT, REALTORS® - Hunter Properties today. 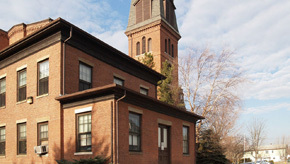 Find city information about North Attleborough, MA including homes for sale in North Attleborough. 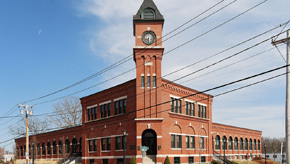 Find city information about Attleborough, MA including homes for sale in Attleborough. 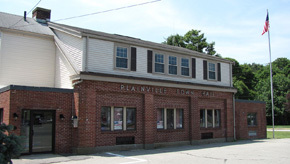 Find city information about Plainville, MA including homes for sale in Plainville. 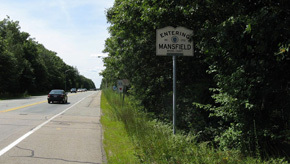 Find city information about Mansfield, MA including homes for sale in Mansfield. 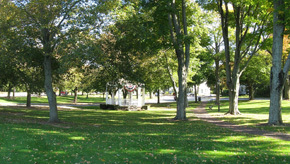 Find city information about Wrentham, MA including homes for sale in Wrentham. 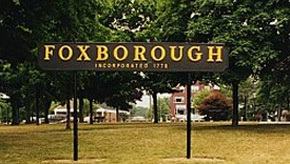 Find city information about Foxborough, Massachusetts including homes for sale in Foxborough. "Why WEICHERT, REALTORS® - Hunter Properties?,” That is easy for Cheryl and Pat to answer. The two had explored "quite a few” franchises and in fact had been affiliated with one. "What we need is the support of a company that has things in place,” Deschenes said. Fellmann added that among the many attractions of the WEICHERT, REALTORS® organization is the "leads” program. Another, she pointed out, "is that Weichert Relocation Resources, Inc. is one of the largest relocation companies in New England, and we do a lot of relocation business.” Education is high on the list as well. WEICHERT® provides immediate and ongoing training and support for agents and managers alike. Home to more than 5,700 sales associates among its franchised sales offices, WEICHERT, REALTORS® launched its first independently owned and operated franchise in January 2002 and since has grown to more than 260 signed offices in 25 states. In addition to training, the full-service organization includes mortgage and insurance services, a commercial and investments division, a new homes and land division, an award-winning Internet lead generation platform, and a multinational relocation company. Support services also include in-house marketing and advertising, dedicated public relations, pre-license schools, Realtor recruitment, in-person local training for agents and managers, and extensive online education. The affiliates group also hosts regular meetings and events for franchisees and sales associates, such as Broker Council meetings, management "retreats” and an annual national convention. Deschenes, who is the company’s Broker/Co-owner, has been in real estate since 1989, earning "Rookie of the Year” honors her first year in business. She focused on new construction for the 10 years leading up to the opening of Hunter Properties, with her husband and other family members in the new construction business. Sales Associate/Co-owner Fellmann, who is also relocation director for the agency, entered the field in 1984. She worked first at an independent agency in North Attleboro, Mass., then at a larger company where she met Deschenes. They formed a partnership in 1996 and opened Hunter Properties, bringing eight agents on board who had been part of a core group at their previous firm. "The Nantucket Ten,” as they were then known, grew to a current staff and sales team of over 30 people. In September, they moved into a new professional building which they built on Man Mar Drive, which they share with six other businesses. WEICHERT, REALTORS® - Hunter Properties can be reached at (508) 695-1041 or on our website www.hunter-properties.com.